Sometimes money plays a big role in decision-making on materials. As you are thinking about budget, be sure to factor in the varying long-term costs associated with different types of driveways. While a paver driveway carries relatively high up-front installation costs, maintaining one isn’t expensive. Gravel, on the other hand, is perhaps the least expensive to install but requires the sort of regular maintenance that doesn’t come cheap. Before deciding on pavers or gravel (or concrete or brick or any other material), make sure you understand what the driveway’s total cost will be over its anticipated lifetime. 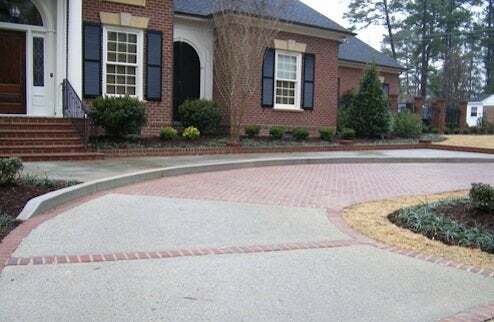 As viewed from the street, your driveway can make a big impression on the look of your house. And certain materials complement certain architectural styles more than others. 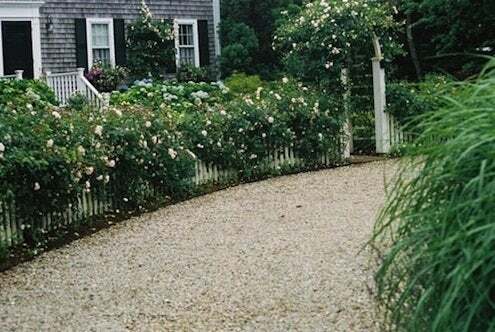 A gravel driveway, let’s say, would make a nice visual accompaniment to a farmhouse cottage, whereas a herringbone-pattern brick driveway would better suit a colonial-style residence. 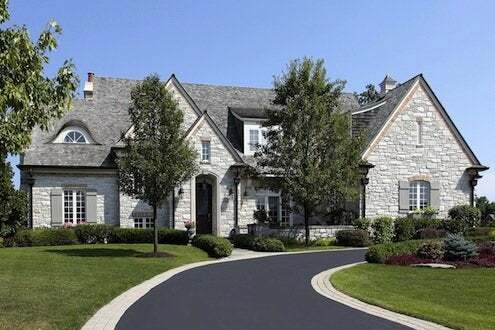 In short, think about what your choice of driveway will add to, or take away from, curb appeal. Some driveway materials may not be appropriate for the climate where you live. For instance, asphalt endures freeze-thaw cycles better than concrete. And heavy rainfalls can negatively affect those driveway surfaces that are more prone to erosion, such as gravel and pea stone. Snow, humidity, rainfall and temperature changes are all factors that ought to influence your final decision. Do your homework. What kind of traffic will your driveway be getting? Will there be lots of heavy trucks on it, or just passenger cars? Some materials are durable, others more finicky. And what’s the grade like? Gravel and pea-stone drives with a pitch are prone to erosion. Also, how long will the driveway be expected to last—20 years? 40 years? And what kind of maintenance is required to maximize lifespan? 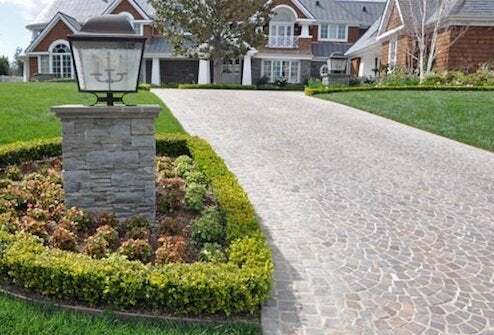 Don’t miss 10 Popular Driveway Options to Welcome You Home for more information and the chance to see concrete and brick, asphalt and gravel—and even more driveway materials—in action!